David Gurevich is a Post-Doctoral Fellow in the Institute of Archaeology of the Hebrew University of Jerusalem. He was appointed as a Fulbright Scholar in the Harvard University in 2014-5. His academic interests include the Archaeology of Jerusalem, Second Temple Judaism, Israel Studies, and the history of the archaeological research. Anat Kidron is the academic director of The Gottlieb Schumacher Institute for Research of the Christian Presence in Palestine in the Modern Era, under the auspices of the University of Haifa. Her research focuses on the British Mandatory Palestine and the first years of the state of Israel. 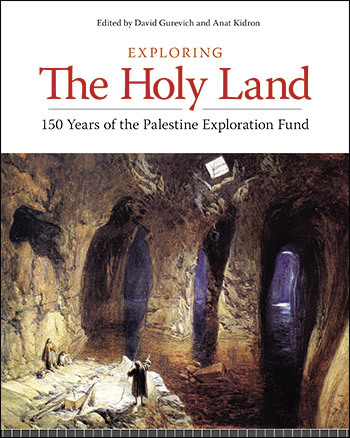 The Palestine Exploration Fund (PEF) is the oldest exploration society of the Levant which is active today. Since its founding meeting in 1865 in Westminster Abbey of London, the PEF scholars have conducted systematic exploration of Jerusalem and the Holy Land. Prominent archaeologists such as C.W. Wilson, C. Warren, C. Schick, C. Conder, W.M.F Petrie, H. Kitchener, and R.A.S Macalister, were sent to dig the Holy Land on behalf of the PEF. 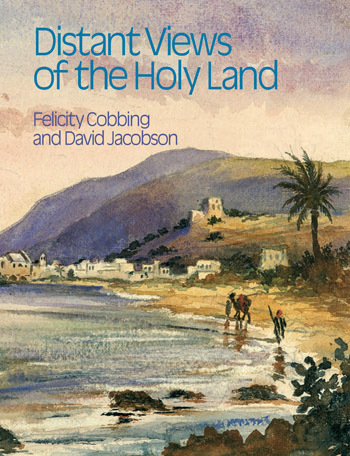 A remarkable enterprise carried out by the PEF, in cooperation with the Royal Engineers, was the first precise scientific survey of the region – The Survey of the Western Palestine – which yielded the pioneering high-quality detailed maps of the Holy Land. Marking the 150 years since the PEF emerged, the studies collected in this volume provide a retrospective on the endeavours in the light of the findings of the contemporary archaeological research. This article surveys the growing thirst for factual evidence relating to the world of the Bible in mid-19th century Britain and early tentative efforts to address this demand. It was against this background that the polymath, George Grove sought to establish a secular institution devoted to the multidisciplinary study of the Southern Levant based on scientific principles. Evidence is martialled to show that it was Grove’s exceptional combination of talents – his organisational and networking skills, natural intelligence, wide interests, including a profound knowledge of the geography of the Bible – that enabled him to recruit some of the most illustrious figures of Victorian Britain to help him realise this ambition in 1865, with the establishment of the Palestine Exploration Fund (PEF). Sveta Matskevich is Associated Research Fellow at the Hebrew University of Jerusalem. The significance of the PEF in the early archaeological investigation of the Levant is much appreciated and well-studied. Yet, it is rarely acknowledged that PEF played a key-role in setting the standards of the organization and recording of archaeological excavation that went far beyond the antiquarian tradition, and serve archaeologists till today. In this study, I analysed architectural drafting and surveying methods, used for the first PEF projects, and have tried to reconstruct the process of formation of archaeological draughtsmanship in the Levant. Ronny Reich is Emeritus Professor of Archaeology at the University of Haifa. F.J. Bliss and A. Dickie excavated on behalf of the Palestine Exploration Fund (PEF), on the southern outskirts of Jerusalem, in the years 1894-1897. The excavators directed their activities to Mount Zion, to the Tyropoeon Valley and to the southern part of the south-eastern hill, identified with the City of David, with the aim to locate the southern city walls of Jerusalem. The excavations made some important discoveries, among which should be mentioned city-walls of the Second Temple period, as well as from the Byzantine period; the main street of the city, paved in stone, with the main drain under it, from the Second Temple period, along the Tyropoeon Valley; the Siloam Church and parts of the Byzantine Pool of Siloam on the southern tip of the City of David, and additional discoveries. The present author has conducted excavations in the City of David and in the Tyropoeon Valley to the west of it in the years 1995-2010. Some of the excavation areas were located adjacent to those covered by Bliss and Dickie, and some even congruent to them. This paper evaluates Bliss and Dickies work, discoveries and conclusions in the light of the discoveries and conclusions of the author’s excavations. Frankie Snyder is a mathematician and Opus Sectile specialist. Gabriel Barkay is Co-Director of the Temple Mount Sifting Project, Bar-Ilan University and Israel Archaeology Foundation. Zachi Dvira is Co-Director of the Temple mount Sifting Project, Bar-Ilan University and Israel Archaeology Foundation. The late 19th-century illustrations in: Picturesque Palestine, Sinai and Egypt edited by Sir Charles W. Wilson provides information pertinent to archaeological research even today. A detailed engraving depicting the interior of the Dome of the Rock initiated an investigation by researchers from the Temple Mount Sifting Project to trace the origins of an opus sectile floor, usually hidden under carpeting, back to the Crusader Period by comparing its intricate design to a similar Crusader-era floor in the Church of the Holy Sepulchre. Yana Tchekhanovets is an Archaeologist at the Israel Antiquities Authority. During the excavations in the Tyropoeon Valley in Jerusalem, carried out by the PEF under the direction of J.W. Crowfoot and G.M. Fitzgerald in the 1920-s, a whole stratum defined by the excavators as a “Byzantine Low Level” was discerned. The stratigraphical setting of the structures, their orientation, architectural characteristics and décor and the rich finds assigned with this stratum have close parallels in the recently exposed peristyle building in the Givati parking lot excavations located only few dozen meters to the north. Apparently, both complexes belong to the Late Roman well-planned residential quarter of Aelia Capitolina, destroyed by the A.D. 363 earthquake. The reassessment of Crowfoot and Fitzgerald’s work in light of modern research clearly shows that they were the first to define the remains of the Late Roman living quarters of the city expanding to the south in the late third-early fourth century C.E. Daniella Talmon-Heller is Senior Lecturer at Ben-Gurion University of the Negev. 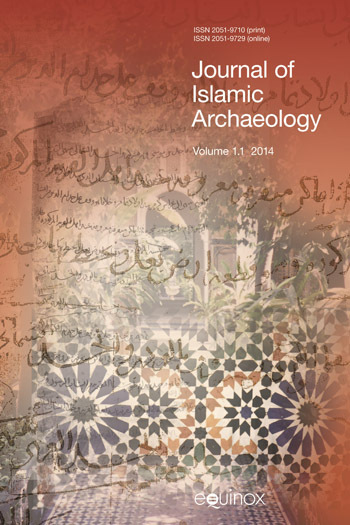 In this study, I explore the contribution of the work of the team of the Survey of Western Palestine, and especially that of the native-speaker Nuʿman al-Qasatli, to the study of ethnography and religious life in late Ottoman Palestine. I focus on Qasatli’s description of a two-and-a-half days-long celebration around shrines in the vicinity of Ascalon, which he observed in April 1885. It is treated here both as a chapter in the history of the thousand-years old shrine of the head of Husayn b. ʿAli (the martyred grandson of the Prophet Muhammad), and as a case study of a Palestinian local annual festivity (mawsim), and its transformations in the era of nationalism. Jeffrey R. Chadwick is Professor of Archaeology and Near Eastern Studies at Brigham Young University Jerusalem Center. Haskel J. Greenfield is Professor of Anthropology and Archaeology at University of Manitoba and St. Paul’s College. Samuel R. Wolff is Senior Fellow at the W.F. Albright Institute of Archaeological Research. R.A.S. Macalister was an Irish scholar who was sent to Palestine at the behest of the Palestine Exploration Fund in 1898 in order to work with and ultimately to replace Frederick Jones Bliss on the four tells of the Shephelah project and later to work independently at Tel Gezer from 1902–1905 and 1907–1909. Afterwards he returned to Ireland to become a renown Irish archaeologist, returning to Palestine only to excavate with John Garrow Duncan in Jerusalem in 1923, leaving Duncan to finish the PEF project in 1924 and 1925. Macalister’s main legacy in Palestine was his work at Gezer, promptly published in three volumes in 1911-1912. This article critically discusses Macalister’s field methodology at Gezer and the publication of his results, especially in comparison to the work of his contemporaries. Macalister’s main problem was his decision to excavate the entire site, ostensibly in order to preserve its contents from robbers. This overly ambitious decision affected how he excavated and, as a result, the quality of his publication. Despite its deficiencies, scholars have found immense value in the Gezer publication, and it continues to be frequently cited until today. Credit should also be given to Macalister for being the first archaeologist excavating in Palestine to (1) consider major tell sites in conjunction with their hinterland and (2) for identifying the havoc wreaked by the activities of antiquities robbers and collectors on the archaeological heritage of the region. Moti Haiman is Research Archaeologist at the Israel Antiquities Authority. This paper discusses how an archaeological site is documented as a unit by spatial manipulation in archaeological surveys in the Negev desert. An examination of various surveys reveals two general methods of data collection and analysis. The first method was used in the late 19th and early 20th centuries, before the surveys began applying pottery collection. Those early surveys intended to display sites in high resolution, focusing on the variety of on-site features and on their morphological and functional parameters. The second method, influenced by the introduction of pottery acquisition in the first half of the 20th century, neglected the morphological aspect of the features. Hence, a “site” became a point representing the location where pottery has been collected. The introduction of the GPS/GIS system in the mid-1990s provided a new means that enabled switching to documentation that encompasses every visible feature. Thus, this system introduced a crucial change in redefining the term “archaeological site” as a unit in spatial-archaeological enquiry. Notwithstanding the modern technological means, the only relevant method for further studies is the neglected one of feature manipulation, practiced already more than a century ago. The paper also discusses the methodological foundations of the use of GPS/GIS in surveys as a basis for further interdisciplinary studies, early results of which were first represented in 2008. Chaim Ben David is Professor of Archaeology at Kinneret College on the Sea of Galilee. Over 40 highways were built in the province of Iudaea/Palaestina between ca. mid 1st to mid 4th centuries, totalling in about 1000 Roman miles of paved roads. This communication network is the most important construction project of the Imperial administration in the province. Though constructed originally for military and administrative purposes, this network had also far-reaching implications for the local population of the province. Hence, this network has a central place in understanding the history of Roman Iudaea/Palaestina in many respects, such as: administration; army presence; geographical-history; economy; mobility; or urbanization. Exploration of the Roman road-network began with the mapping activity of the PEF in the 1870s’. The PEF Survey of Western Palestine noted paved sections, ancient side walls and milestones and marked on the maps 16 Roman roads. This paper discusses these roads, evaluates the contribution of the PEF survey to the research of Roman roads and presents the ‘milestones’ of the modern research since then. Roy Marom is a Doctoral Candidate at the University of Haifa. This article assesses the contribution of Claude Reignier Conder’s travelogue, Tent Work in Palestine (1878) as evidence for research into the history of Palestine in the Late Ottoman period by examining its contribution to three case studies relating to the Sharon plain.